WonderMill grinds wheat, rice, corn and small grains such as quinoa and amaranth with the small grains attachment, also grinds beans and legumes. 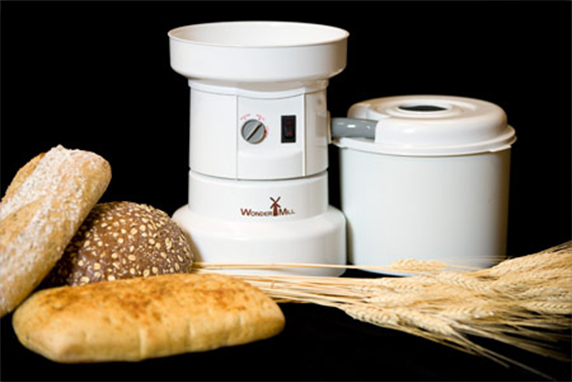 WonderMill can grind gluten-free flours such as brown rice, white rice, sorghum, quinoa, soy, millet, amaranth, bean, corn, chickpeas/garbanzos, and more. 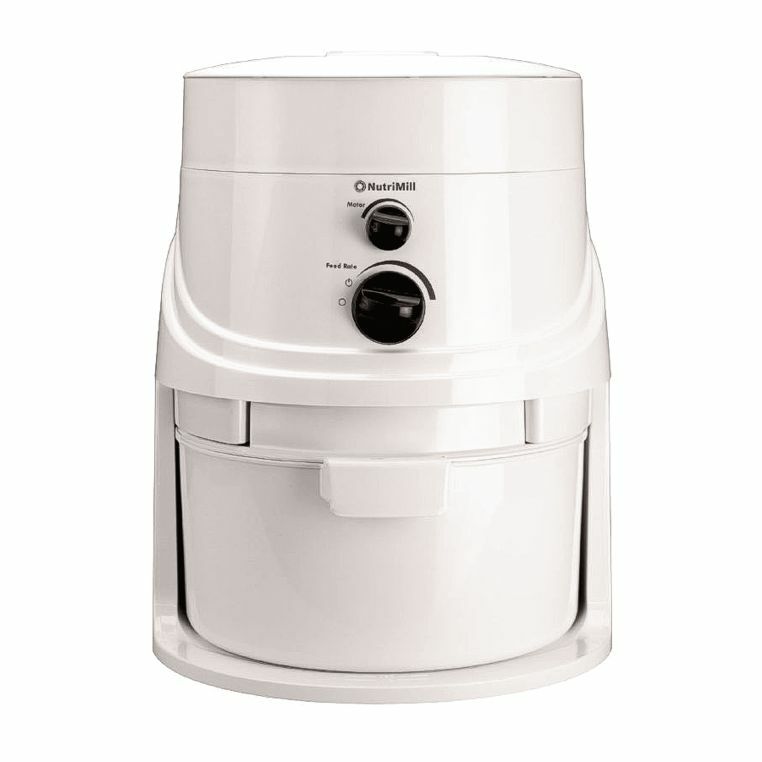 The WonderMill is a high speed, ultra quiet, clean, easy to use electric, impact (stoneless) grain mill. It has patented surgical quality, stainless steel Microburst milling chamber with an 8 cup hopper. The WonderMill can grind 100 pounds per hour. 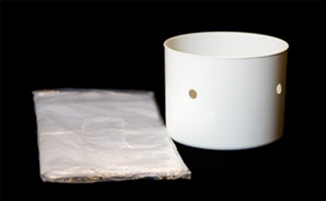 It includes a 12 cup enclosed canister. 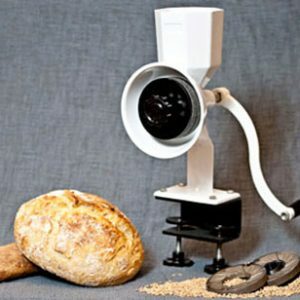 The WonderMill will grind wheat, spelt, rice and other small grains, as well as legumes and beans as large as garbanzos. The WonderMill is easy to clean; it is quick, easy, and virtually dust free. Because of the attached tubing, the mill itself doesn’t have much dust around it at all. Because the WonderMill is an impact mill, it produces very low amounts of heat when milling, thus preserving necessary nutrients.